Bolt your doors and shiver your timbers or face the fearless swashbuckling invaders of the Beaufort, North Carolina, waterfront on August 7th and 8th, 2015! 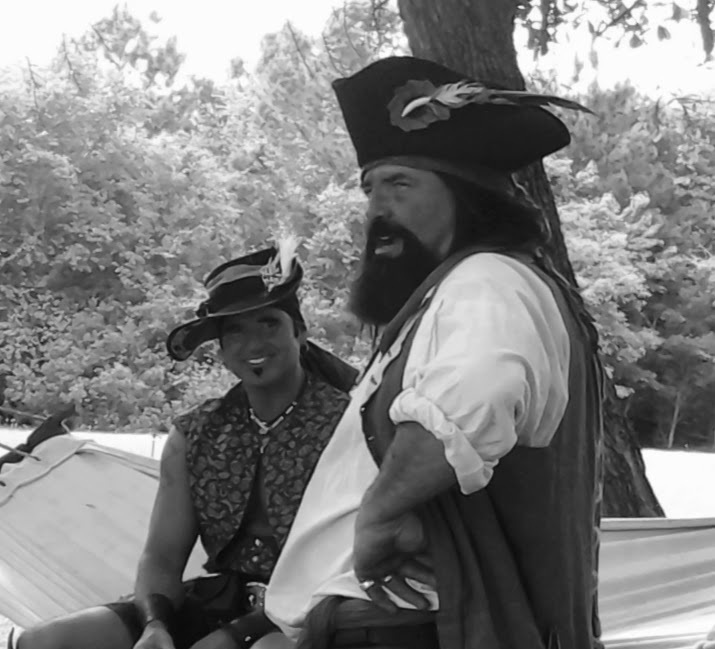 These 17th Century bearded and bejeweled pirates begin swaggering the streets at high noon on Friday and will cause mayhem until the cannon fires at 10:00 p.m. on Saturday night. Bring your younguns and your peg-legged pooches to witness the scoundrels from the high seas. If you dare, look here for more details of the Pirate Invasion. ← Rereading the Classics or nah?